Dun Laoghaire-Rathdown County Council is planning to build a new road which will more directly link the Sandyford Business Park and the M50. 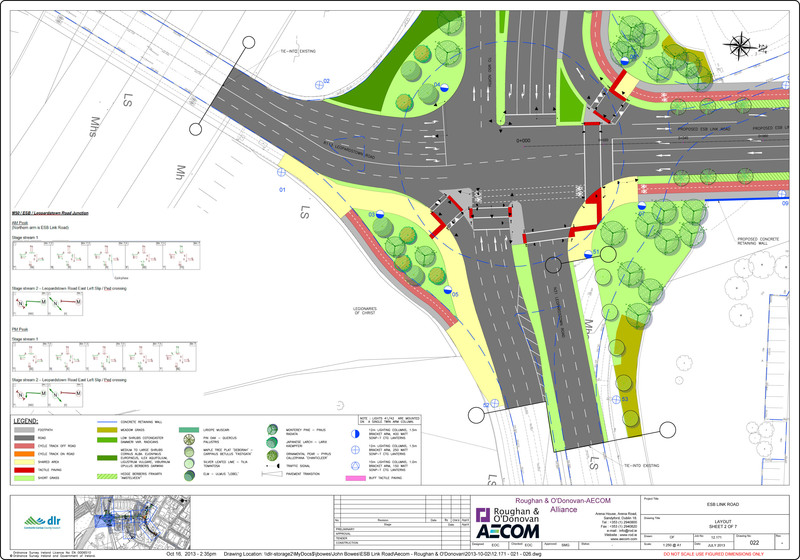 The project continues the trend of councils mixing cyclists and pedestrians at junctions and other locations. Named ‘ESB Link Road and Link to Arena Road’ the planned works are to include just under 1km of road redesign. 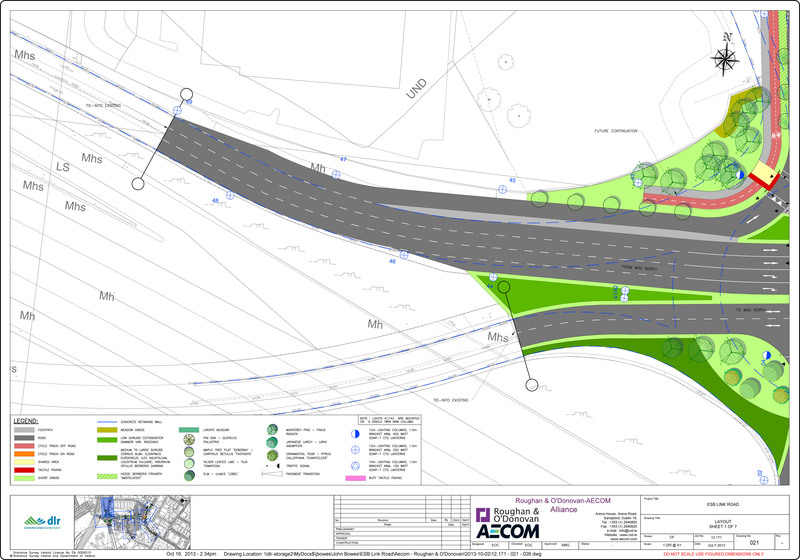 The main link will be between the M50 roundabout at the Leopardstown Road and the Blackthorn Road in the business park. While the secondary link is an extension of Arena Road to meet the new road. 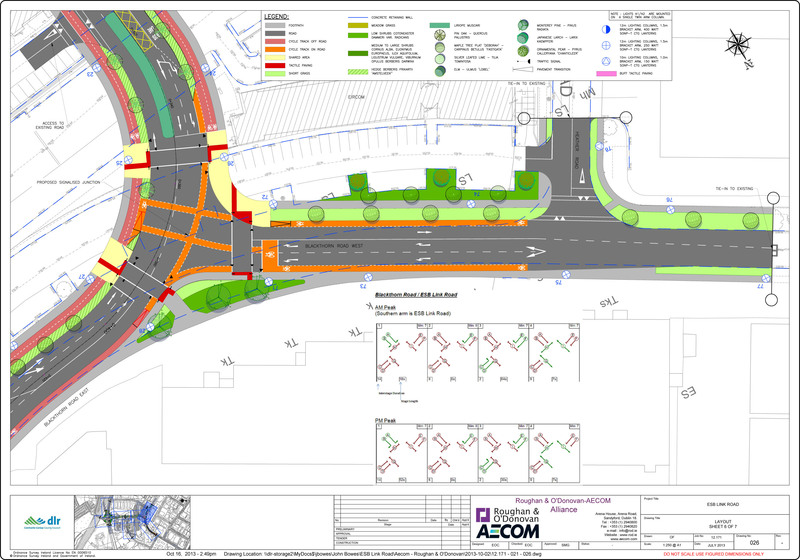 The current signalised roundabout at M50 junction 14 and the Leopardstown Road will be tuned into a large signalised controlled junction. 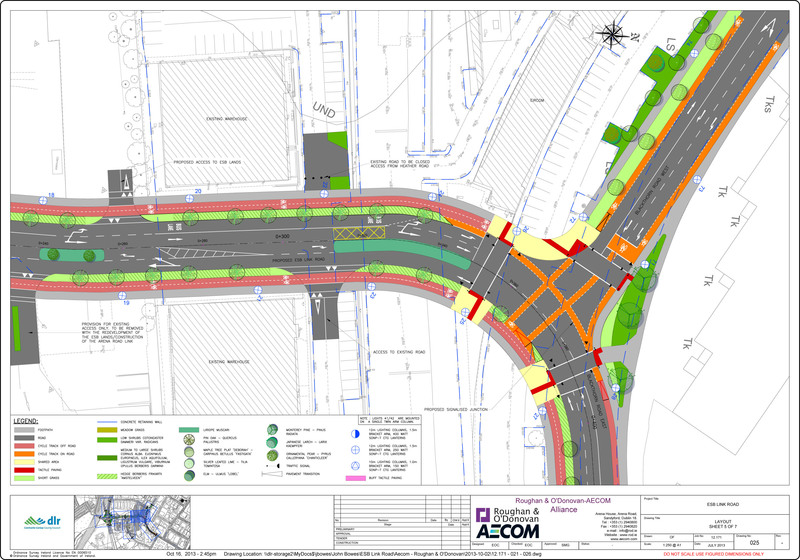 A signalised controlled junction will also be put in place at the tie-in point between the new ESB Link Road and the Blackthorn Road. 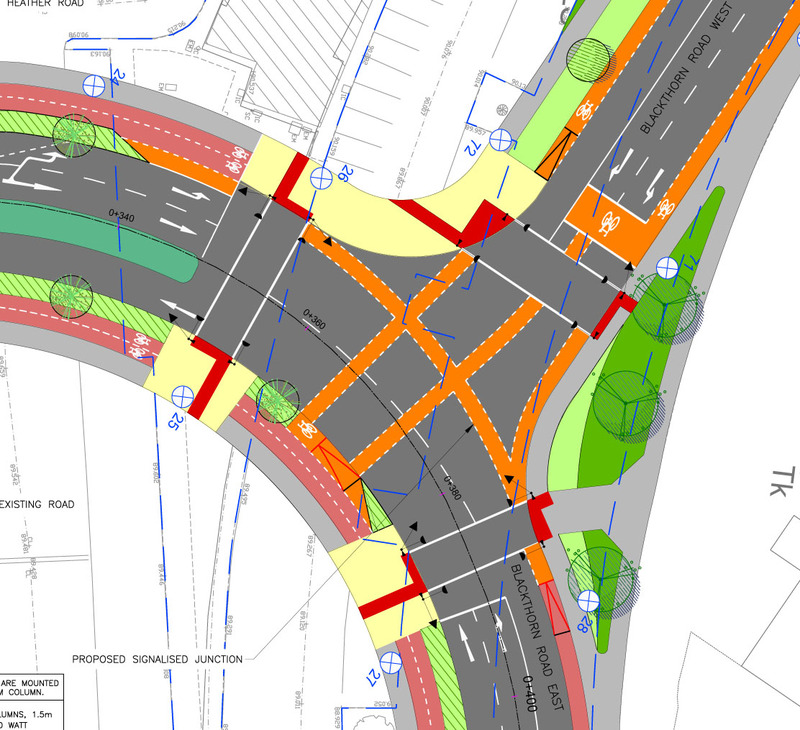 ESB Link Road will be a three-lane carriageway, including two-way cycle paths on sides of the road, a northbound bus lane, footpaths, central turning lanes and a central island. 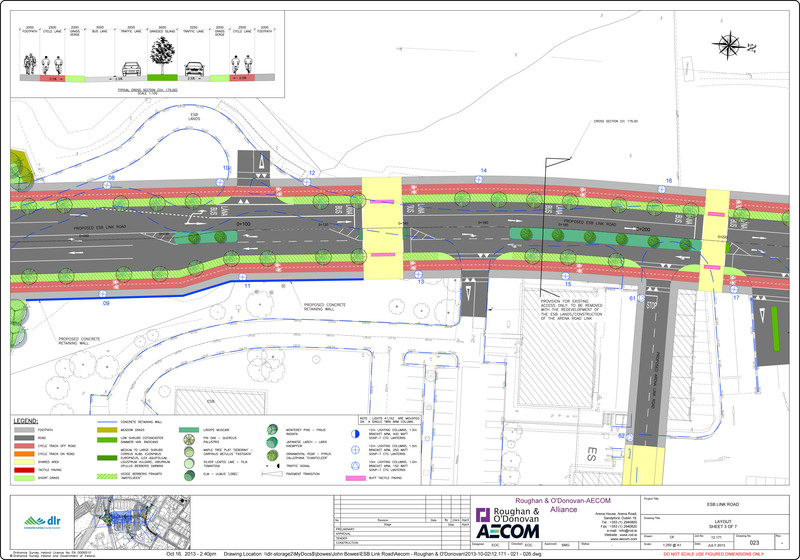 The two-way cycle paths will be 2.5 meters wide. Dimensions are not given for cycle paths and lanes in other drawings. 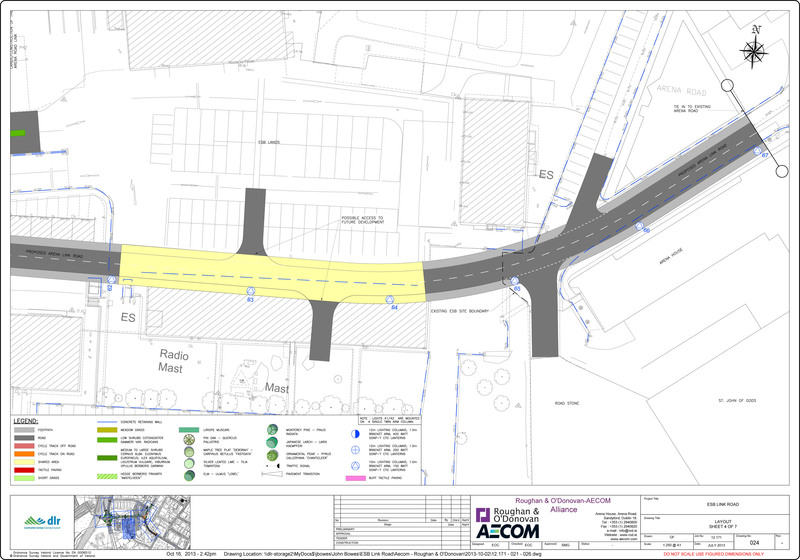 The extension and part redesign of Arena Road is planned to include no cycle lane but road narrowing, and removal of parking. No traffic calming measures are provided for expect a shared space section across the carriageway and footpath area. 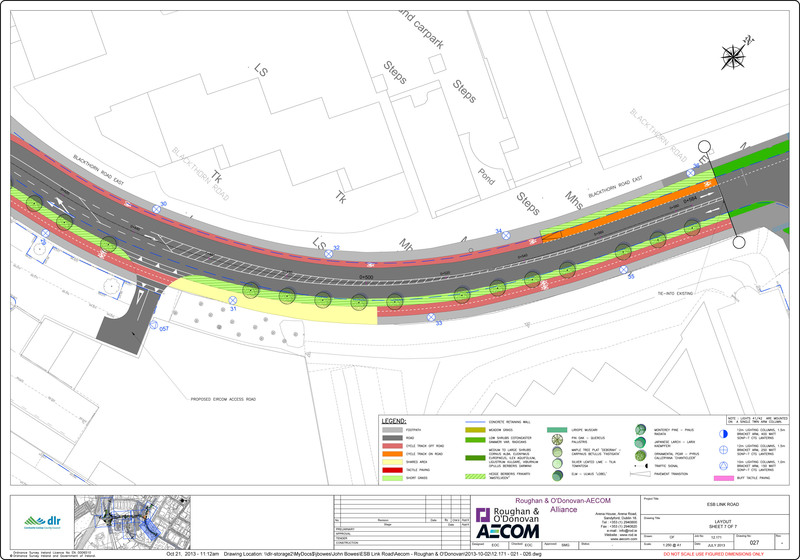 The Blackthorn Road redesign will not tie into the current northside cycle lane, leaving a gap between the new and old cycle lanes on that road. The deadline for submissions or observations is Friday January 31, 2014. More details on making a submission can be viewed here, while reports and extra drawing can be found here.